Lizbeth tatting Thread Holder Sparkle Clear- Clear poly carbonate plastic, with glitter, protects your tatting thread from dust, spills and curious pets. Slides open for easy thread changing, has an internal peg that holds thread for easier unwrapping, and a latch that keep thread ball intact if dropped. Insert a cord into the top so you can hang the holder from your wrist or neck. 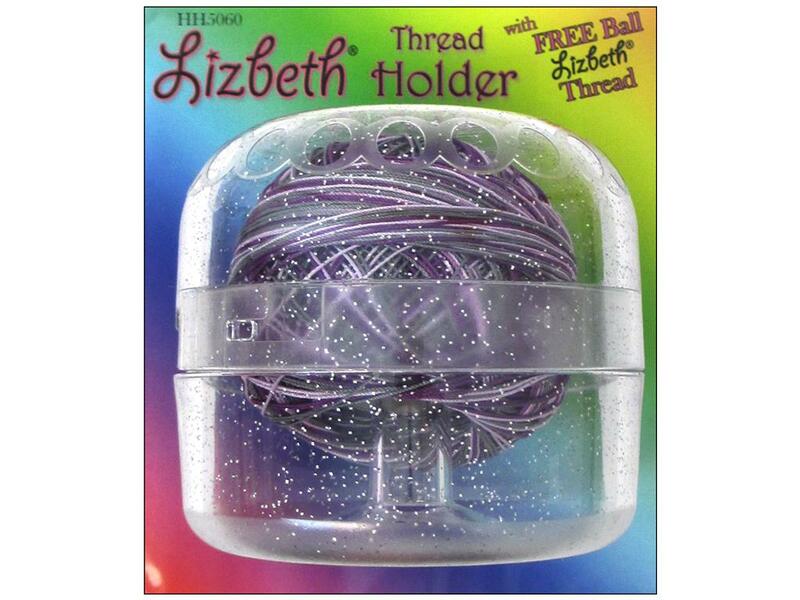 Comes with a free sample ball of Lisabeth Thread in shades of purple.